OneCar, Energy: Educational Innovations, Inc. Your students will be in the engineering fast lane as they learn about simple machines, Newton's laws, electrical circuits, renewable energy, chemical reactions, energy conversion and more! 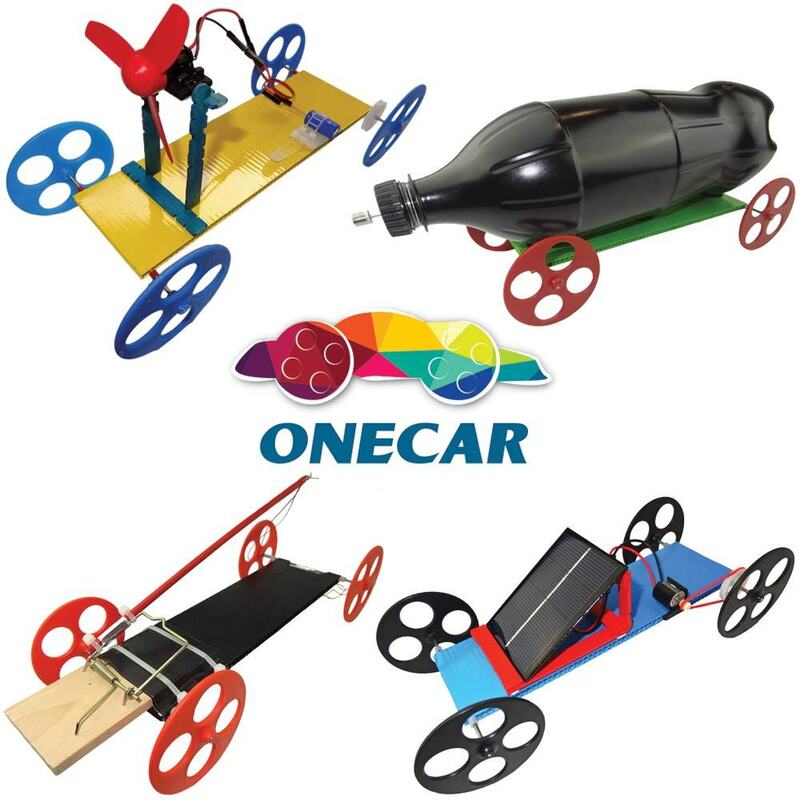 OneCar is a comprehensive, open-ended STEM system that allows students to explore energy and motion in as many ways as they can imagine - without soldering! 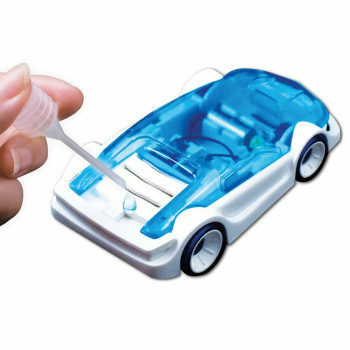 Every Kit includes eight OneCars. 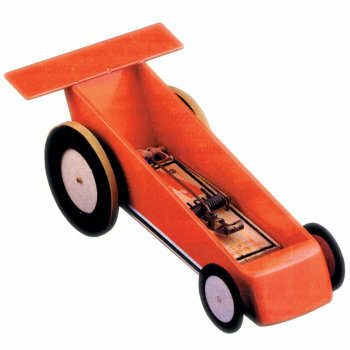 Each has a low-friction car chassis, four wheels, and ample components that can be assembled and de-constructed for multiple use. Students can design, build, test, and propel their cars in six different modes, using a solar panel, electric motor, capacitor, kitchen chemicals, compressed air, propeller and more. Your students will be in the engineering fast lane as they learn about simple machines, Newton's laws, electrical circuits, renewable energy, chemical reactions, energy conversion and more! Sold as an eight-pack with one full-color set of instruction sheets. Teacher's Notes and videos on each car option are available online. Batteries not included. See it in action on our video tab! Learn how to calculate the average speed of a moving object using your smart phone in our Lesson tab. 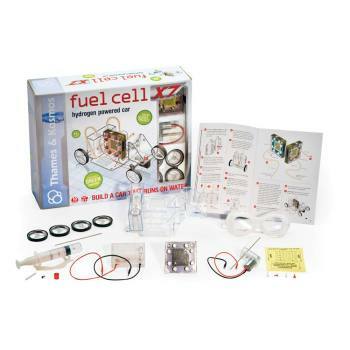 Read more on our Blog - STEM Galore with OneCar and More! Learn how to calculate the average speed of a moving object using your phone! We added the one car to our STEM elective and it has allowed students to investigate forces and motion, energy conversion, engineering design, and much more. The kit comes with a comprehensive teacher manual and everything you need for a class set of cars. 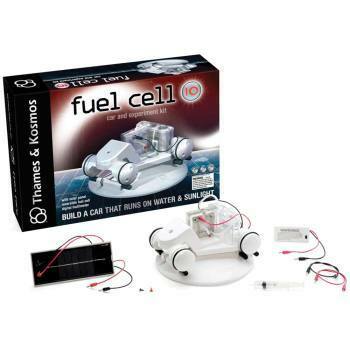 This product will be a hit with your students as they learn how to power and move the cars in all different ways. I put my students in teams have them create mini videos of their one car from start to finish explaining core scientific concepts along the way. Love how this product allows for student collaboration and creativity. We use the One Car kits with our 8th grade STEAM students. They love the ability to explore all the different ways they can propel the cars forward. It allows the perfect balance of structure/instructions and creativity/open-ended exploration. Within one day, our students were building ramps and trying to get the air pressure car to take flight! Download the NGSS table for the OneCar!